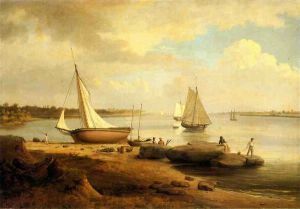 Thomas Birch, American portrait and marine painter; born in London, England, in 1779; died in Philadelphia, Pennsylvania, January 3, 1851. 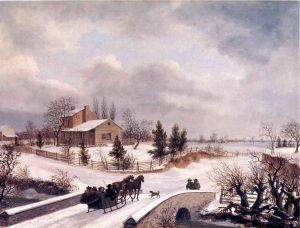 He came to the U. S. in 1794, and assisted his artist father, William Birch, in preparing a 29-plate collection of engravings: "Birch's Views of Philadelphia" (1799). 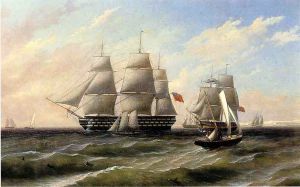 Subscribers to the series included President John Adams and Vice President Thomas Jefferson. 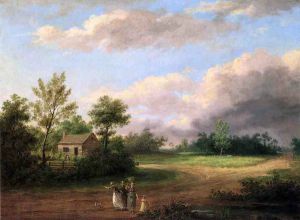 This sold well and went into multiple editions, inspiring similar collected views of New York City, and of suburban estates surrounding Philadelphia and Baltimore. 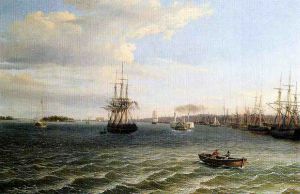 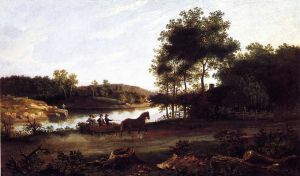 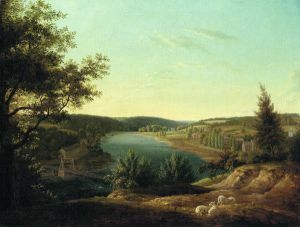 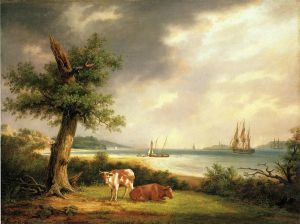 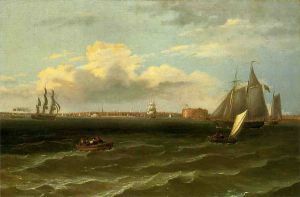 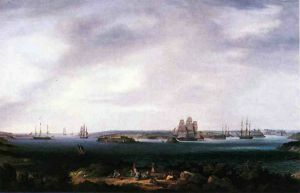 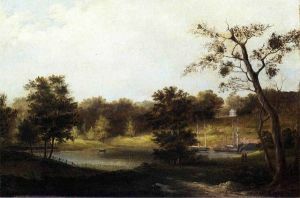 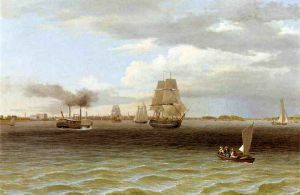 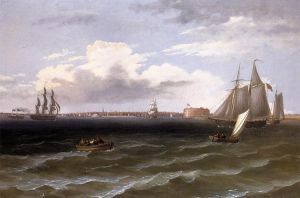 The son's first major painting appears to have been a view of Philadelphia from the Treaty Elm in Kensington, which was also engraved and published in 1804. 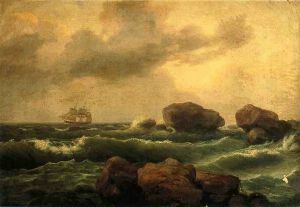 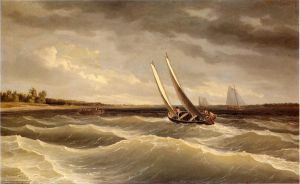 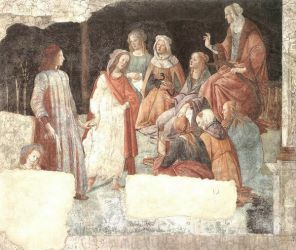 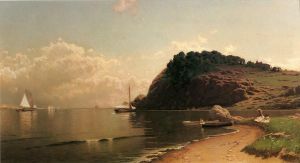 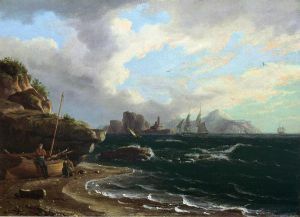 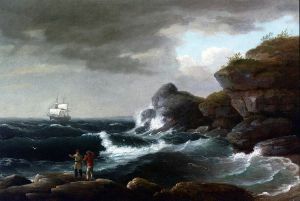 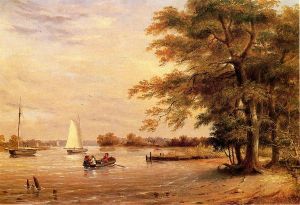 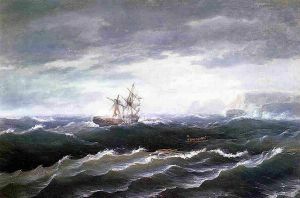 He painted portraits until about 1807, when he took up marine-painting. 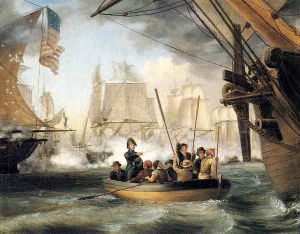 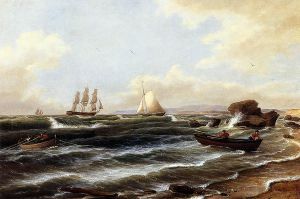 Some of his most famous works depict naval battles of the War of 1812. 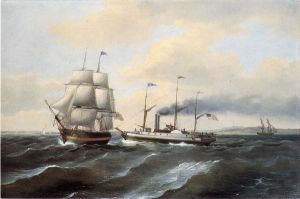 "Birch was the first American ship portraitist, and his paintings were copied by countless artists and craftsmen in America and Europe." 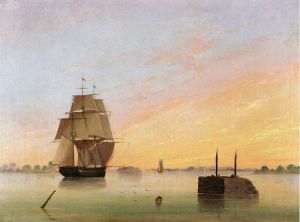 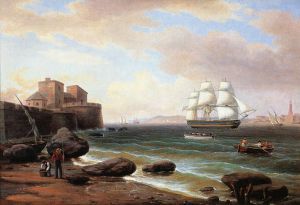 In addition to ships, they provide valuable images of bridges, lighthouses, docksides, and harbor fortifications in the Early Republic, especially those surrounding New York City and Philadelphia. 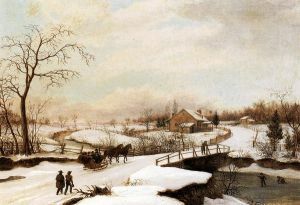 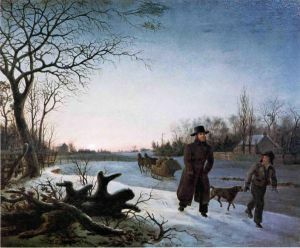 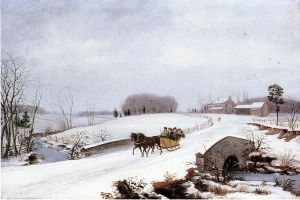 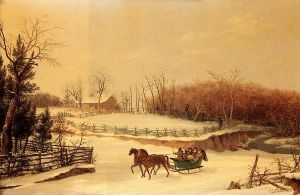 His paintings of suburban mansions and rural snow scenes were often turned into engravings.